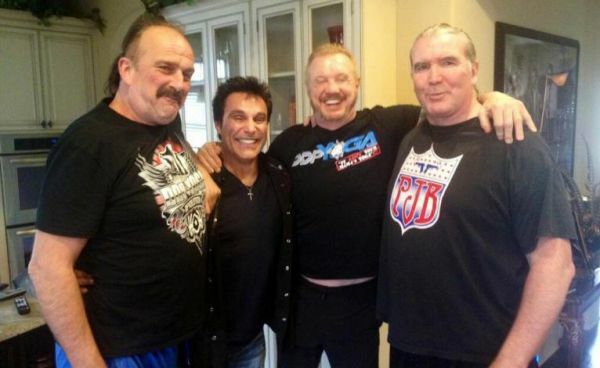 The happy picture above shows Jake (far left), along with Scott Hall (far right), getting the help they both desperately needed from the most unlikely of sources: Diamond Dallas Page (middle right). Since joining DDP at the "Accountability Crib", the man has revolutionized his mental and physical well-being. 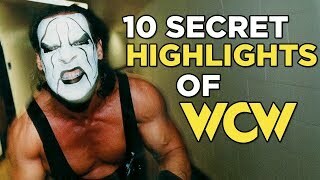 The demons he has battled for decades are mostly shockingly visible in the famous movie Beyond The Mat. His crack cocaine abuse, dysfunctional relationship with his daughter, and general sense of worthlessness are hiding in plain sight in that film. That was made during the Attitude Era and a lot has changed since then. Having got together with former wrestler DDP, and with the help of his yoga program, "The Snake" has made a big improvement. One of the biggest icons of the 80s is now on the comeback trail. After killing his habits and dropping a huge amount of weight, Roberts refuses to rule out a return to the ring: "I'll be in the Royal Rumble next year, count on it... I worked too hard in this business to go out that way. So I guess we're going to have to take a victory lap. I'm definitely coming back." I know I'm not the only one who would love to see the guy back in a WWE ring, throwing a member of 3MB over the top rope.